Innovative Education and Training Solutions | Providing Opportunities That Enrich Lives! We cover each course topic by topic; learning objective by learning objective. We use a variety of media to cater for different learning styles. Videos, PowerPoints, note pages, podcasts, blogs, worksheets, case studies, even cartoons – just to ensure every one of our students understands our content. Digital Media and Entrepreneurship Premium classrooms include State of the Art Technology including recorded lessons are offered in our online learning management system. We boast a 99% pass rate and have State Scholars and Merit Winners in our student Portfolio.The Learning Management System that we use, Blackboard, is renowned in the Education Industry. 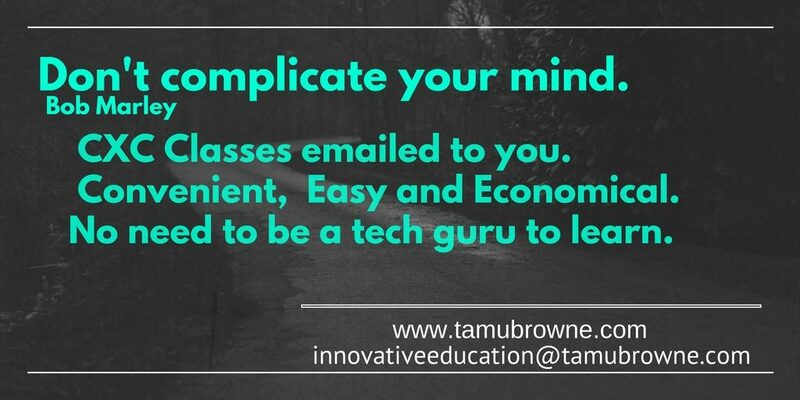 Get your classes by email all your lectures, notes, testing, and so much more for USD $30 a month per subject. Study Guides are available for Unit 1& Unit 2 Management & IT 2. Providing Opportunities That Enrich Lives!